The newsletter serves as a forum for chiropractic news, new product announcements, ideas and dialog. It keeps members abreast of current trends -- political, legislative and educational. 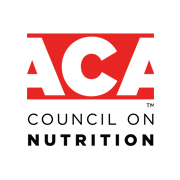 The Newsletter is a bi-monthly publication that gives current Council on Nutrition news as well as timely, interesting articles. The quarterly journal Nutritional Perspectives has valuable articles that are reviewed by the Editorial Board prior to publication. The Journal also offers advertising opportunities for companies to promote their nutritional products, services and alternative therapies. The Journal, like our newsletter, is available only to our member doctors, with the goal of keeping them on the cutting edge of new research, breakthroughs and developments in the industry. We are always on the lookout for content to include in our journal. If you have an article or paper you’d like to submit for consideration, please reach out. If you need help with writing or submitting your paper, you'll find guidelines for Writing an Acceptable Article for publication here. If you're a Doctor of Chiropractic, sign up today and catch up on these and other topics about nutrition in the treatment of your patients.